Expert in information security and cryptology, he is also a consultant to NATO member states. Since 2014, his activity as a business angel intensified strongly in the Maghreb, especially in Morocco. He now has several holdings in the industry nuggets such as download.gg. 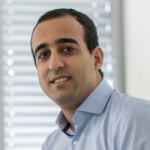 Mohammed is particularly interested in FinTech, high web audience, video games and SaaS.